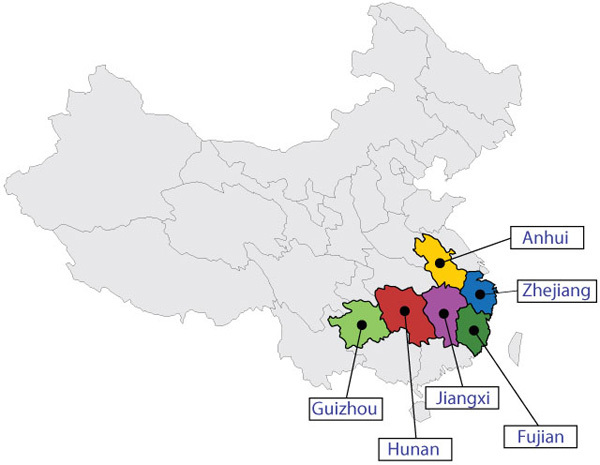 The project’s overall objective is to make forest management more sustainable and to improve rural livelihoods by supporting tenure reform for collective forests in China. Collective forests account for 58 percent of China’s forest land and can make a significant contribution to rural livelihoods. Recently, the Chinese government has promoted reform of the tenure system for collective forests, which focuses on devolving land-use rights and forest ownership in collective forest areas to individual households. This allows households to use collective forest lands and forests to generate income and improve their livelihoods. The current forest tenure reform will allocate 167 million ha of forest land to households, and about 500 million farmers are expected to benefit. Some 35 percent of total collective forests have already been transferred to individual households. Working in six pilot provinces, the immediate beneficiaries will be forest farmers’ cooperatives and individual small-scale forest farmers in 16 pilot villages, comprising about 6 000 households. 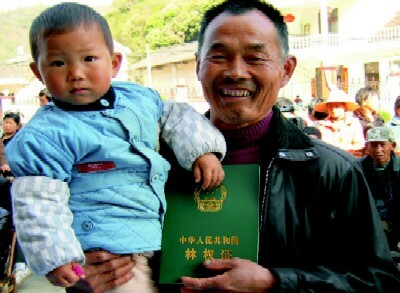 About 300 000 forest farmers will receive services and access to the new forest ownership and land-use rights. Training will be provided to the staff of government forestry institutions, including that of 16 township forestry stations, eight county forestry bureaux, and six provincial forestry departments. In addition, private timber processing and marketing companies and other enterprises as well as local non-governmental organizations (NGOs) will be involved in training and participatory activities.